What where your favourite fantasy and science-fiction books and movies for 2015? Here are a few of mine. With all the hype and the long wait since the release of the last trilogy, I wasn’t sure what to expect with this one. My daughter and I saw it together on our trip to Melbourne in December after a day of looking at art galleries, graffiti lanes and traveling on the trams. 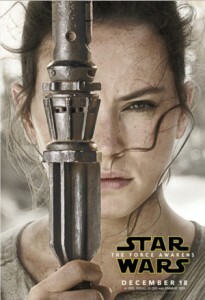 Star Wars 7, directed by J J Abrams, takes up the story twenty or more years after the end of Return of the Jedi. A new dark force, the First Order and dark user of the force, Kylo Ren (Adam Driver), are out to destroy the Republic. Hans Solo and the Resistance are searching for a map fragment which will reveal location of the last Jedi, Luke Skywalker. The movie was fast-paced, with lots of explosions, crashes and fire-fights. Favourite characters Hans Solo, Chewbacca, Princess (now General) Leia, C3PO, A2D2 all make an appearance and new characters such as Finn (a reformed Storm Trooper) (John Boyega), Rey (an orphan left behind her family on desert planet of Jaku with an affinity to the force) (Daisy Ridley), the droid BB-8, Maz Kanata and Kylo Ren (the dark ‘jedi’) who works for the mysterious Supreme Leader of the First Order, Snoke. The plot echoes the past movies with a shocking (though not unpredictable) twist at the end. We enjoyed the movie. For my son (who saw it with his father), it was ‘the best one yet.’ There was enough excitement, special effects, humour and emotion to keep us on the edge of our seats. I love the fact that Finn is a person of colour and that Rey is a woman though, for some, this seems to encourage making the emo and conflicted Kylo Ren as the a dark anti-hero despite his terrible nature of his deeds. There are some obvious plot holes and many things left unexplained (how did the First Order arise and gain such devastating power so quickly, who is Snoke, why was Rey abandoned by her family and what is her connection to Luke, why did Luke walk out on the Republic and Resistance (even if his efforts to train more Jedi had disastrously failed)? No doubt some of these things will be revealed in the next couple of movies. However, the more I think of it, the more I wish that The Force Awakens had deviated more from a recycling of old plot themes and scenarios. I guess it remains to be seen if the next two movies are more adventurous and more ready to risk alienating die-hard fans. This final film from the Hunger Games trilogy, in which the Rebellion makes a final assault on the Capitol of Panem. Katniss Everdeen (Jennifer Lawrence) is the face of the resistance but, against orders, she teams up with her closest friends, including Peeta (Josh Hutcherson), Gale (Liam Hemsworth) and Finnick (Sam Claflin) to take out President Snow. Again, I watched this movie with my daughter and thoroughly enjoyed it. It does verge on horror in a number of scenes, but the violence is not glorified. The movie stays faithful to the book and, in some ways, surpasses it. I can remember being very disappointed with the end of Mocking Jay (the book) for a couple of reasons, especially with regard to Prim – but also the death of a number of characters. I’ve had a number of years to think about why Suzanne Collins chose to end the book the way she did and I concluded that what happens to Prim was a necessary motivator for Katnis’ final actions and her realization that tyranny and the misuse of power was not the sole prerogative of Snow. Even so, (as I discuss here) it would be refreshing to see more peaceful and diplomatic means as a way of resolving problems. And while this may seem unrealistic – it can be done without necessarily spoiling the climatic thrill – as, for instance, in How to Train Your Dragon. Not to quibble though, this was a fantastic movie. Trigger Warning (2005) by Neil Gaiman is a collection of short stories of fantasy, sci-fiction and horror. Some are quite brief and others are longer. I thoroughly enjoyed reading this book with it’s effortless prose, great characterizations and storytelling. 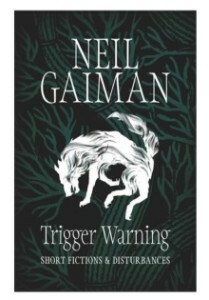 Gaiman has a quirky view of life in which danger and retribution lurks in unlikely corners. I’ve reviewed it more thoroughly here. I enjoyed Trigger Warning so much, I went looking for another Gaiman book and came across Anansi Boys (2006). This book has an unlikely hero in Fat Charlie, and touch of romance, and great twist at the end and draws from Caribbean mythology. 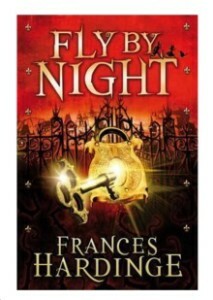 It was fun read and I really must read more Neil Gaiman. Again I reviewed it here. As I loved Frances Hardinge’s A Face Like Glass (2012), I was delighted to discover Fly by Night (2006). Like A Face Like Glass, this is also a Young Adult fantasy novel with a young teen protagonist combined with an intricate and fascinating, almost Baroque world and a complicated and inspired plot. Mosca Mye (named after the common house fly by her absent minded and erudite father) has to flee her village in the company of her goose, Saracen, and the dubious and smooth tongued Eponymous Clent. On arriving at Mandelion, they find themselves in the middle of intrigue, murder and an escalating feud between the Stationer’s Guild and the Locksmiths. This is a book about freedom of thought. And while I found it’s zealous Birdcatcher villains almost predictable in motivation (see a fuller review here), I still enjoyed the twists and turns, idiosyncratic characters and world building. Certainly, there is a need for tolerance and the freedom to discuss and contest different positions and values in a world where opposing points of view are often howled down or ridiculed in social media storm. Femme (2014) by Delia Strange is the first book published in the Wanderer of Worlds series (and multiverse). Kaley has won a scholarship to the almost Utopian paradise of Femme, a matriarchal society in which men are slaves. Kaley is excited about pursing her future tech studies but finds it hard to adjust to the mores and expectations of this rich and beautiful world, especially when she is assigned a personal slave. The world-building in Femme is rich, multi-layered and delicious. There is an underlying romantic tension and social dissonance that gradually builds up a climax and a realistic (and satisfying) conclusion. By turning social stereotypes and traditional gender roles upside down, Femme makes one think. I reviewed it here. That’s the first 6 of my 12 picks for 2016. I’ll continue with the next six in the next post. I’d love you to tell me, have you watched or read any of these spec fic pieces? What did you think of them? What are your best reads and views for 2016. Cross-post to Jeanette O’Hagan Writes.